With a long winter ahead of us, I’ve been gearing up my home and children to get warm, cozy and healthy. I dread spending a week indoors with all of us sick, so I do what I can to prevent that. In the event that does happen, these winter survival tips help us be more comfortable and prepared. 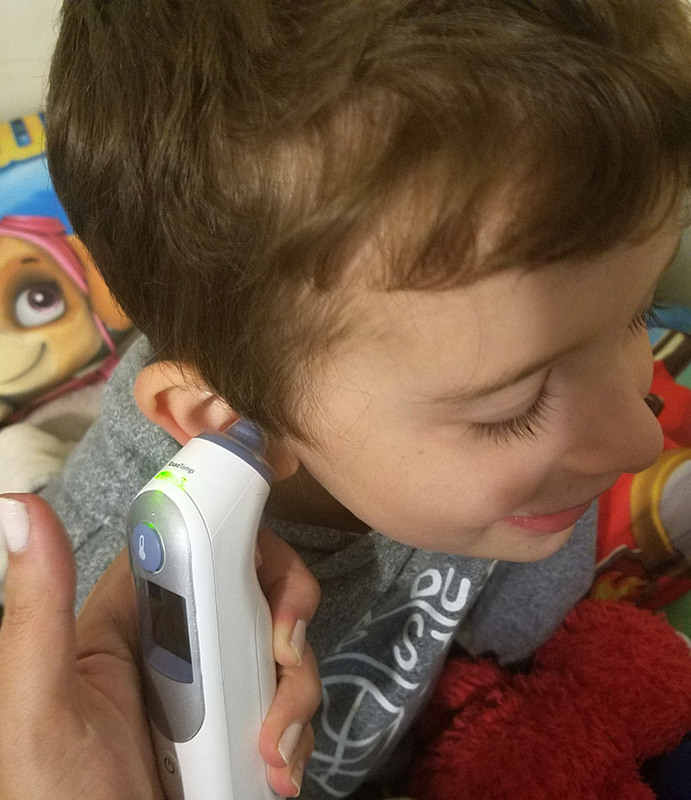 I’ve partnered with Braun Thermometers to bring you some of my best tips and tricks for surviving a long winter with young kids. Sometimes, it can be difficult to “winterize” properly, especially if you live in a place where temperatures drop rapidly and unexpectedly overnight. My main trick is to be prepared. That’s why NOW, as the cold and flu season is arriving, is the perfect time to go through that checklist and make sure you have what you need. Expect it to happen, be equipped when it does, and avoid those late night emergency trips to the pharmacy. For every family, being equipped looks different. For us, it meant checking that Baby Y’s inhaler hadn’t expired – and replacing it when it was. For others, it might mean being educated on what to do in the case of a febrile seizure. You know your family’s needs, what your kids’ “sick symptoms” are. 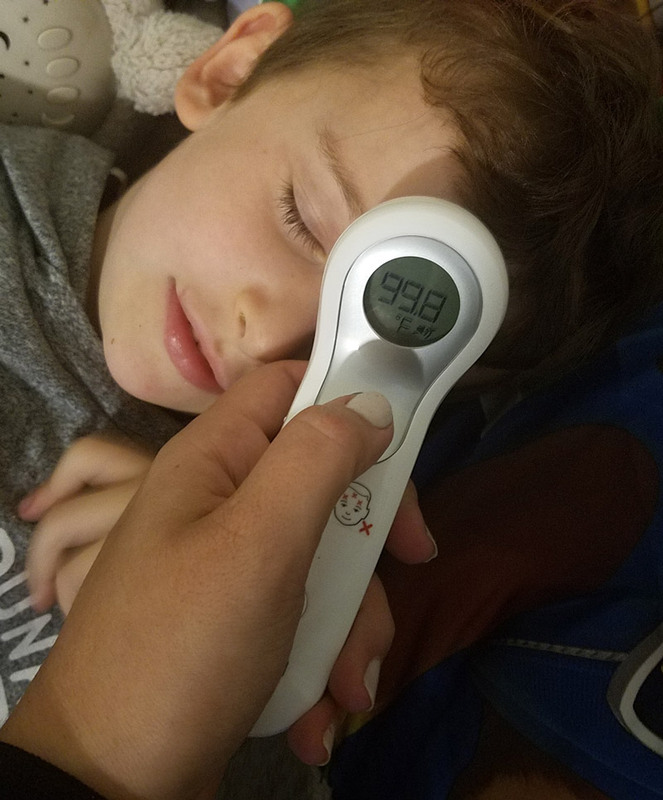 The one thing that every family needs ready and handy: a good thermometer. 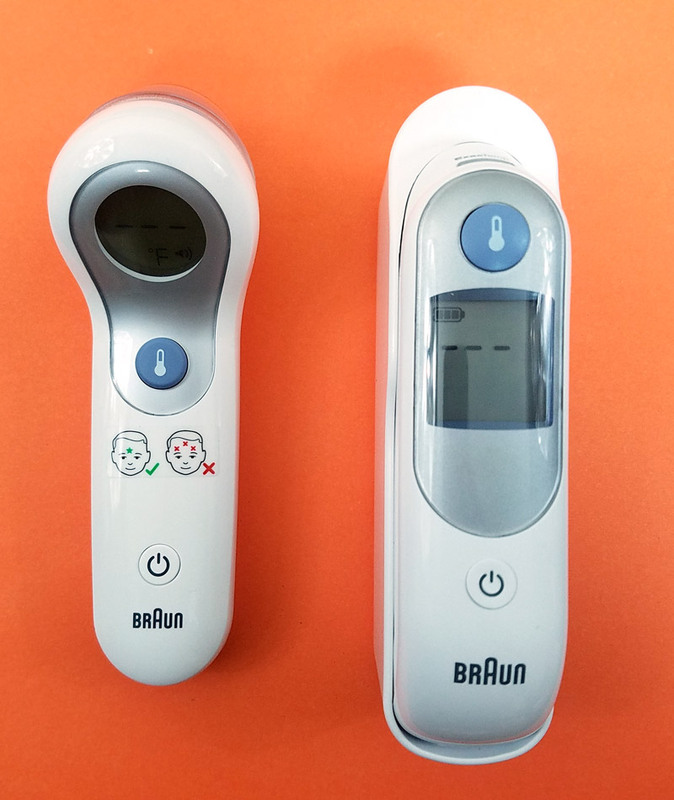 Braun thermometers are the #1 brand recommended by doctors and are perfect for the entire family. They are especially good for young kids, since it can be harder to get them to cooperate. I’ll never forget the winter that we lived in a small, rented apartment, and my bedroom was not properly outfitted with heaters. I came down with the flu and spent nearly two weeks at home and away from work. It took me months to actually recover and get back to work. You can imagine the havoc it wreaked on my family and life. Before the next winter could come around, we made a hasty move to a better and warmer apartment. Heat isn’t the only important detail. My pediatrician always instructs me to crack the windows open occasionally in the kids room to let it air out as a stuffy room can breed germs. I like to do this during the day, when they’re not sleeping, so that I can ensure that the room is a comfortable temperature at bedtime. I also make sure my medicine cabinet is adequately stocked with everything I may need, like vitamin C, vapor rub, children’s acetaminophen and accurate, working thermometers. I love Braun thermometers because they are highly recommended by pediatricians to be the #1 brand. A quick drive to Walgreens is all I need to stock my medicine cabinet, including Braun thermometers. And you can even get a discount on it using this coupon through the Ibotta app! Too many times I have grabbed a thermometer out of the medicine cabinet only to find it totally inaccurate or just completely broken. I’ve also struggled with the need to wait until the next diaper change to get a baby’s rectal temperature, only to have him kick so hard, I couldn’t wait the full minute I needed for an accurate reading. It’s important to always know your child’s correct temperature, so that you can tell the pediatrician your child’s fever history. The Braun ThermoScan 5 is clinically proven to give precise readings – more so than forehead or rectal readings. It is pre-warmed to minimize the cooling effect of the tip on the ear canal. The filters helps us avoid cross-contamination, because the one thing our family doesn’t like to share is germs. 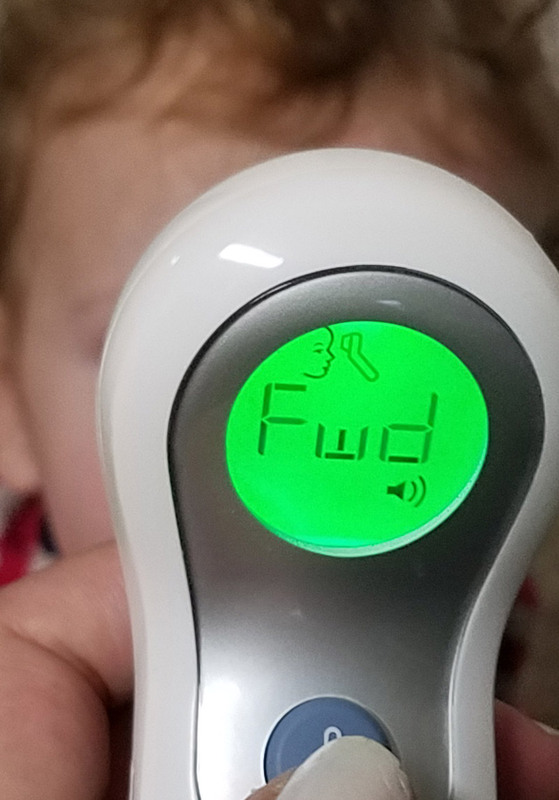 The Braun No touch + forehead thermometer gets me a reading in seconds, so that even finicky Baby Y isn’t quick enough to fight it! The color-coded readings help me understand what’s “normal” and what’s not. I start off by making sure all jackets, coats, sweatshirts and thermal underwear is purchased before the winter starts; ideally, even before autumn starts. You don’t want to be caught in a sudden temperature drop unprepared. I make sure that they have car-seat ready options (since puffer jackets and bulky outerwear aren’t safe). 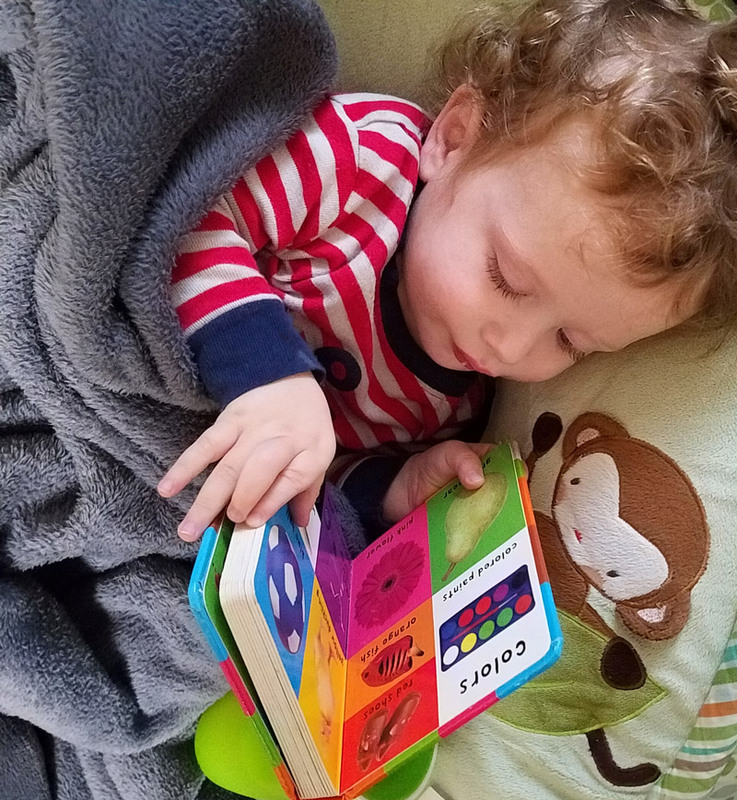 Tip: Keep some warm, fleece blankets in the car for the kids to cuddle up under on cold mornings! Scarves are a must as well, and don’t interfere with the car seat buckle. A friend of mine suggests getting infinity scarves for kids to avoid loose ends. I think many of us tend to overdress our children. A child can always take a sweater off, but we don’t want them to be caught unprepared. 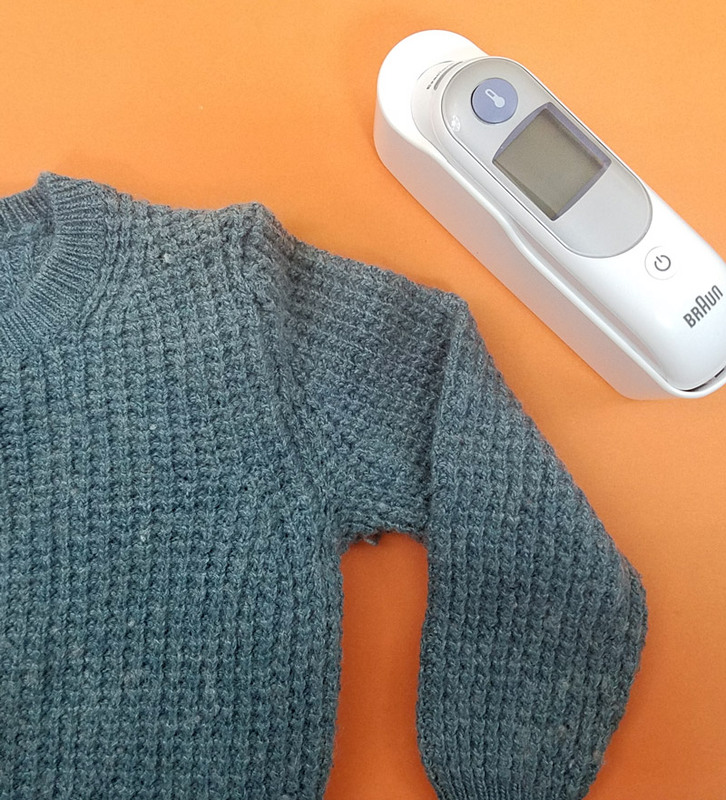 If you child seems cranky, or sniffly, it’s good to know their body temperature so we can dress them appropriately. 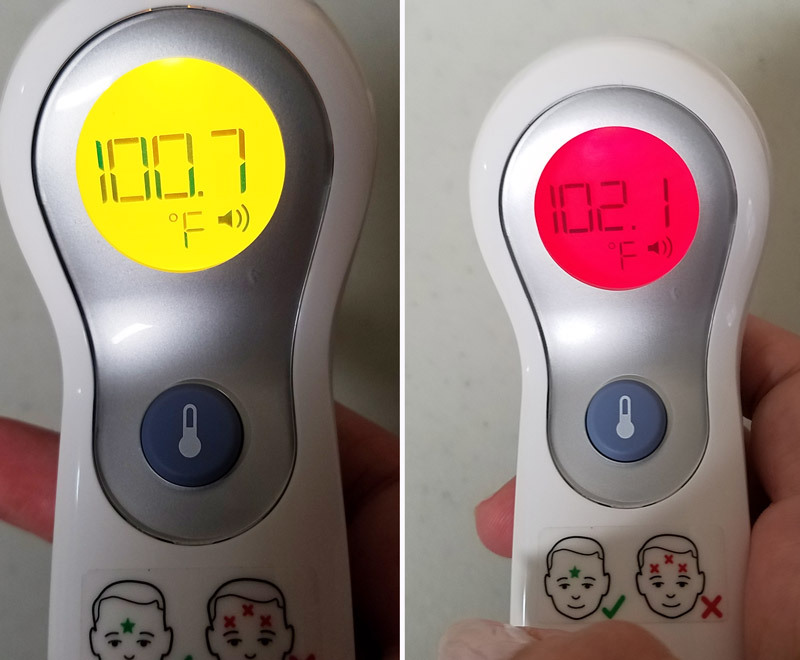 The Braun no touch + forehead thermometer is a great choice; you can easily check up on your child touching the forehead or from up to two inches away. It’s the first thermometer to take professionally accurate temperatures with only a gentle touch or no touch. The on-screen instructions let you know how your positioning is and if you need to move closer to your child. 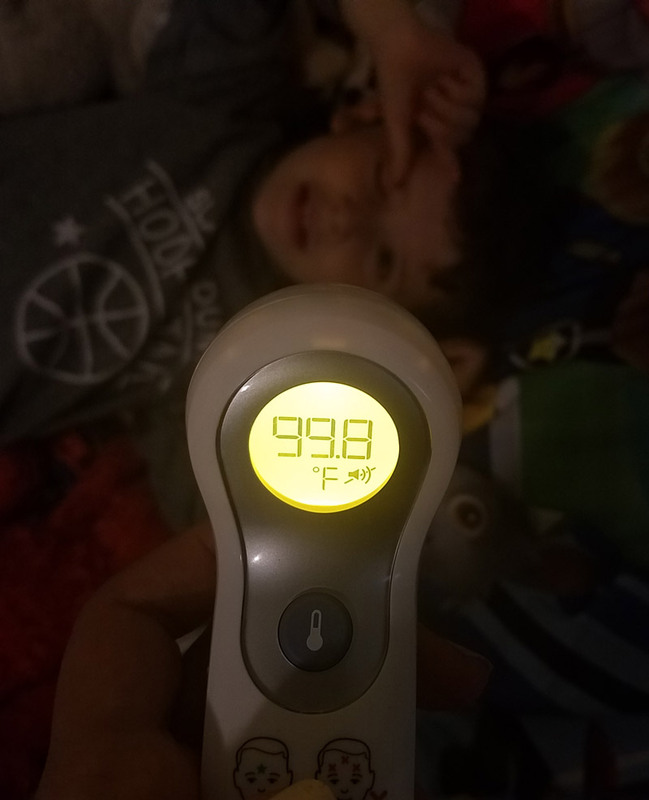 The thermometer also has a silent mode for sleeping children. So when I do my nightly check-up, I can get a discreet temperature reading, and remove or add a quilt. When I purchase winter accessories, I always buy an extra pair of anything that can get easily lost. This way, we’re not stuck without a full pair of mittens on a cold morning, rushing off to school. Need a backup of your own? I have an awesome giveaway for you! You can enter to win the chance to stock your medicine cabinet with this cool giveaway from Braun. To enter, just comment on this post answering the question below. Then make sure to enter your information into the GLEAM form so that I can know how to contact you. 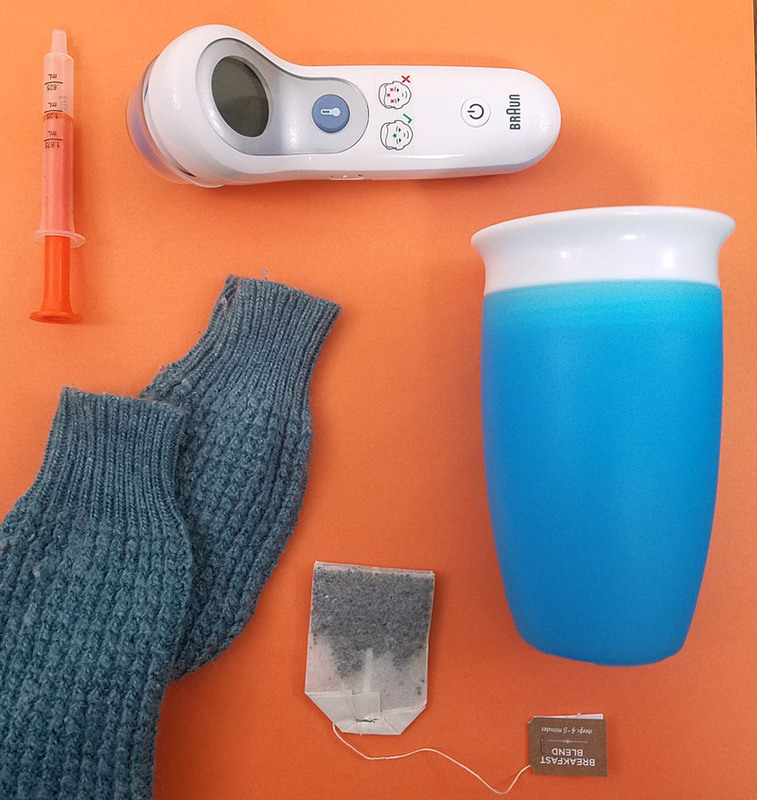 One lucky commenter will receive (1) $50 Walgreens Gift Card and (1) Braun No touch + forehead thermometer (ARV: $110). Prize is sponsored by and will be fulfilled by Braun Thermometers. Winner will be drawn on 11/17/2017 and will be contacted via email. Winner will have 48 hours to respond to claim the prize after which a new winner will be chosen. What are your best winter survival tips for families with young kids? How do you plan to winterize for cold and flu season? Download your Ibotta coupon here and comment below! Babies, Health and safety, Mom life, Parenting tips and tricks, Preschoolers, sponsored, Toddlers. Bookmark.